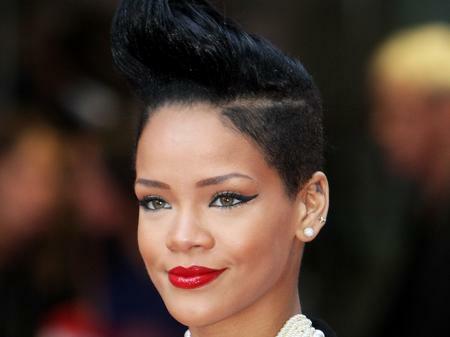 Rihanna has apparently based her new hairdo on Elly Jackson from La Roux. Or possibly Mark Lamarr. and we think this qualifies as a smile. Thanks, Rihanna!